1. You may love your first snowfall, but your dog may not. This can cause some dogs to come “un-housebroken”. Male dogs are usually less bothered by fairly deep snow because they hike their leg anyway. Dogs that squat to pee may be inhibited. We dig out a potty area for the dogs. For small dogs, it can be as small as 5×5 feet; a little bigger for large breeds. We dig it down so there is some grass poking through the snow. When the snow melts, it flushes the area so the grass isn’t damaged by a heavy concentration of urine. 2. Dogs with hairy feet will get snowballs between their toes if they are outside more than a few minutes. It pays to keep that hair on the bottoms of their feet trimmed short. They track in less mud when the snow melts, and they don’t get painful snowballs between their toes. 3. Alternatively, buy your dog a set of boots and prepare to be entertained while she learns to walk in them. Their high-stepping antics can be very entertaining. 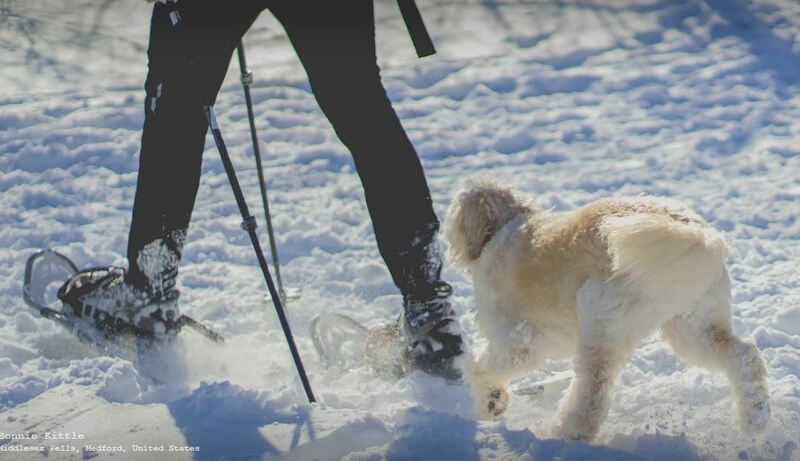 Boots are advisable if you plan to do any physical activities with your dogs. Snow can cause raw, bleeding feet on dogs that are not accustomed to snow. 3. Very smooth, short-haired dogs will need a protective sweater or jacket. Same goes for coated dogs that have a sparse coat for whatever reason. 4. Don’t expect your dog to eat snow for its water needs. This can cause hypothermia without providing enough water. Some snow is actually very “dry” which means the moisture content is very low. 5. This is where your training comes in handy. Keep a towel nearby for drying off your dog’s feet and legs when they come back indoors.